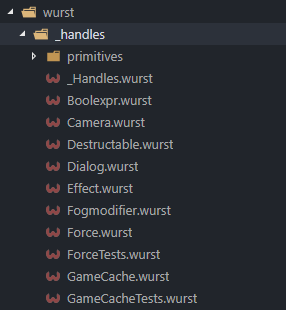 Patch 1.30 is supported and the reccommended version for Wurst development. 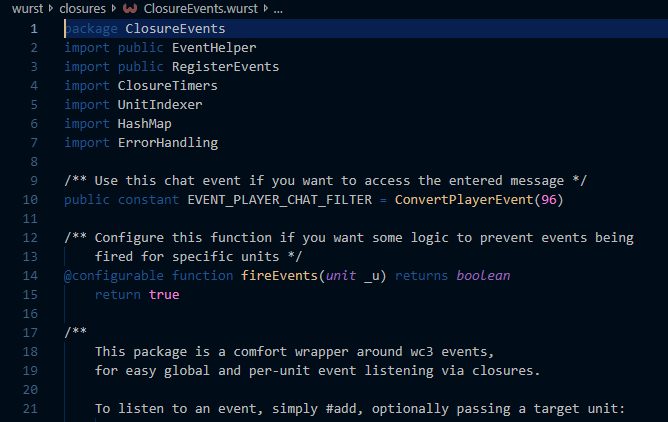 Added @inline and @noinline annotations to allow more fine grained control over inlining behavior. 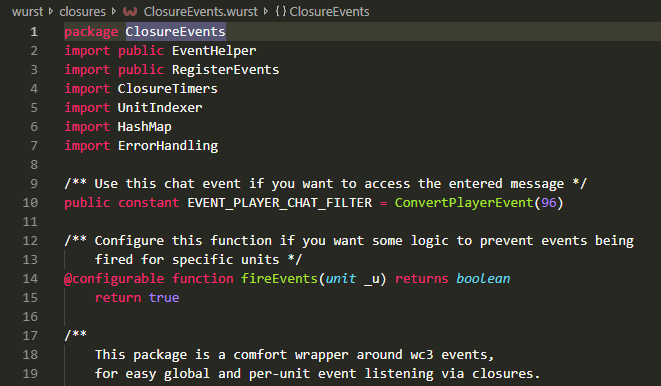 The inliner has also been improved and now handling inlining on a call by call basis. 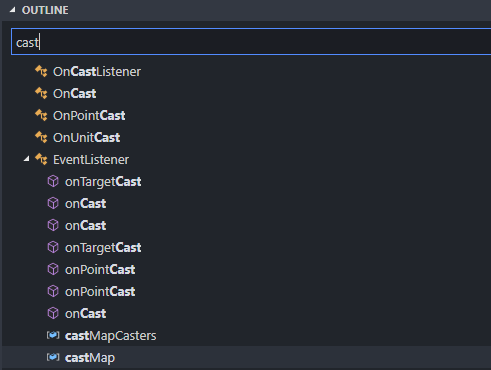 Functions from blizzard.j that are used during map initialization no longer get inlined, preventing map script bloat, in particular with more than 12 players. 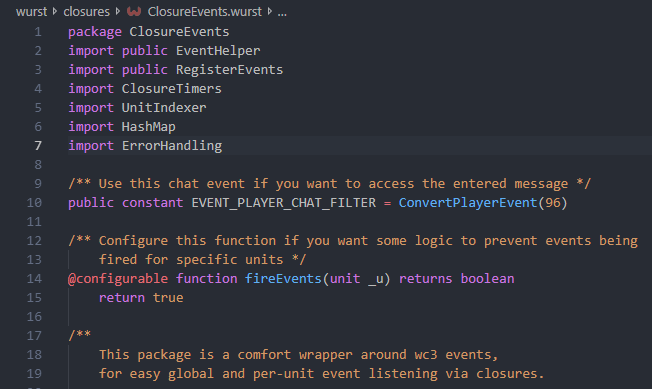 The error window’s tab width has been reduced so the code isn’t overly indented anymore. Profiled and addressed a couple CPU and Memory concerns (thanks to ej-technologies’ open-source JProfiler license). DamageType (PR #95, PR #97), and OnUnitEnterLeave (PR #96) received more fixes for edge cases. Added Matrices and Quaternion math packages which can also be used to manipulate effects (PR #111, PR #112). Removed another initlater import from the stdlib which improves code quality. We have several more PRs currently in the reviewing process, regarding Damage Modification and FileIO. Breadcrumbs show the model hiearachy from your cursor positon. You can turn them on via View->Toggle Breadcrumbs. 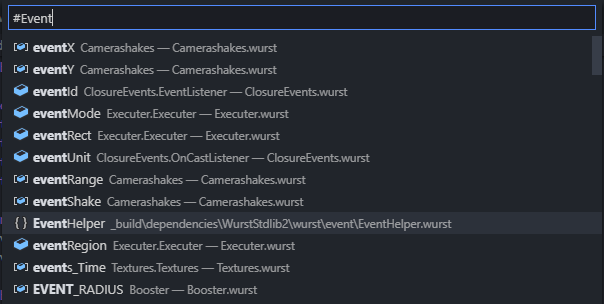 The Focus Breadcrumbs command (shortcut Ctrl +Shift+.) 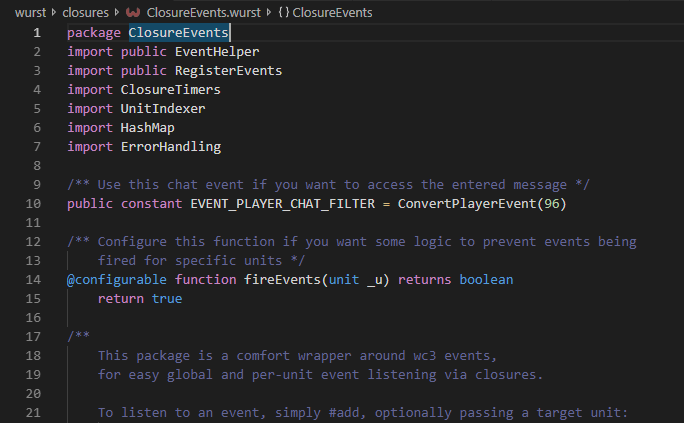 lets you navigate your code quickly. You can also search for symbols using the Goto symbol in workspace command (Ctrl + t) or using Goto symbol in file (Ctrl+Shift+o). 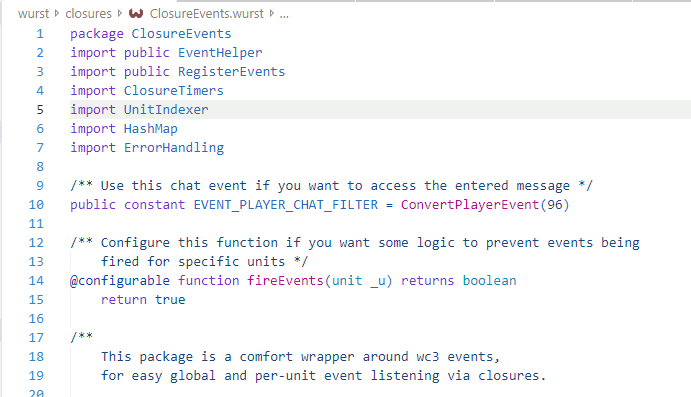 VSCode recognizes Wurst’s symbols, allowing for consistent renaming.